Information is starting to roll in. 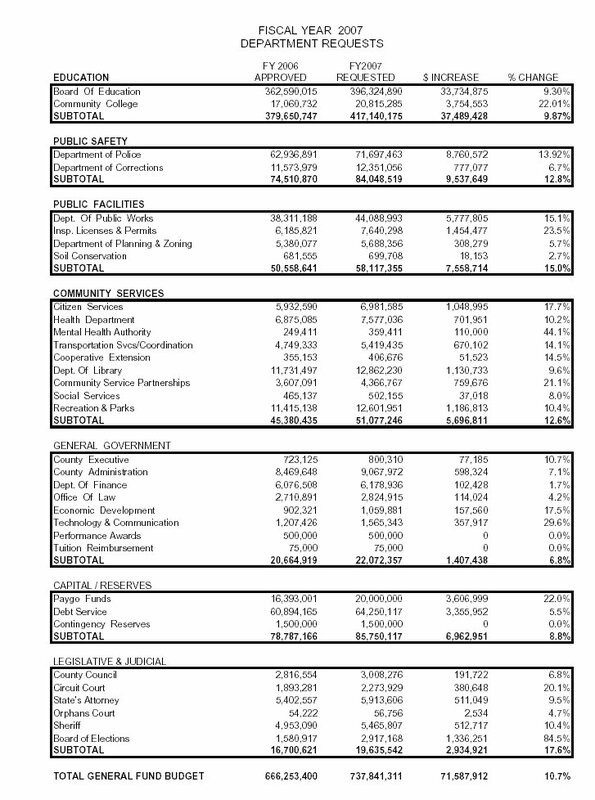 The Balimore Examiner has this article about the Public School Operating Budget. Their $396M request seems to have been approved by Mr. Robey according to information from the article and the information posted below. It represents a $33.7M (9.3%) increase over the 2006 budget. This doesn't jive with the article which states it is a $28M increase. 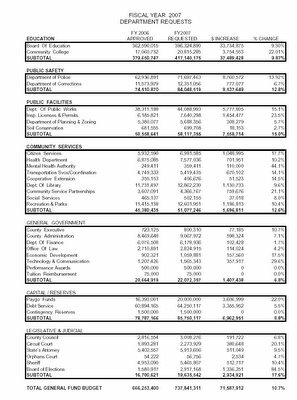 Overall budget requests exceed the 2006 approved budget by over $71M or 10.7%. Below you will see a summary of the budget requests made of County Executive Jim Robey.